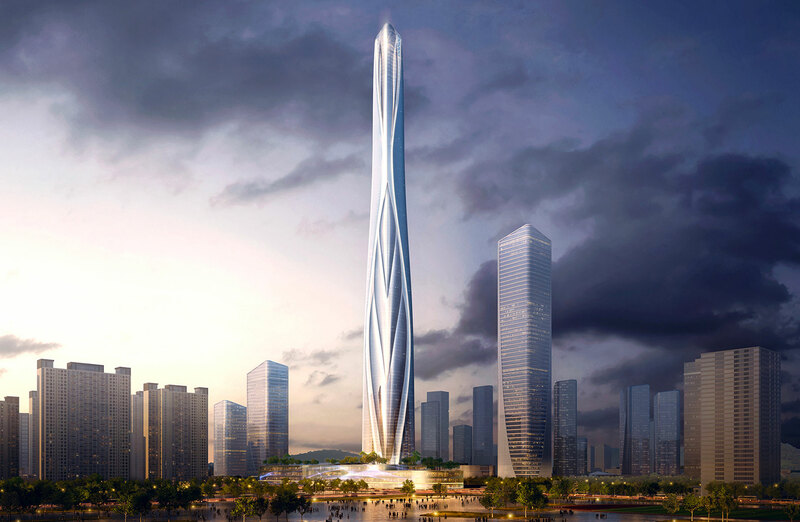 Once completed the Shenzhen-Hong Kong International Centre located in Shenzhen will be the world’s third tallest building building behind SOM’s 828m Burj Khalifa in Dubai and the 1,000m tall Jeddah Tower in Saudi Arabia. 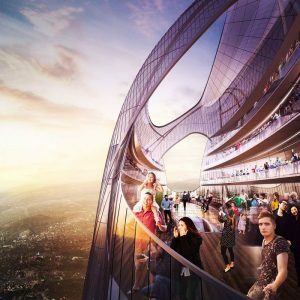 The 701 metre megatall skyscraper has been designed by Adrian Smith + Gordon Gill Architecture, drawing on inspiration from neighbouring districts and “anthropomorphic” in its structure and form. “The Shenzhen-Hong Kong International Centre is anthropomorphic in its character, honouring in an abstract way the athletes that train to perform in the world-class stadiums directly adjacent to our masterplan for this project,” AS+GG partner Adrian Smith said. Shenzhen-Hong International Centre will join a vast majority of the world’s super tall structures currently being designed and constructed in Shenzhen, a city which accounted for 10 per cent of the 2018’s record number of mega skyscrapers completed worldwide.